Contact your local Social Security office. If you do not know where your local office is, consult the Social Security Services office locator website for North Carolina. Obtain an application for Social Security card (SS-5) form from the Social Security office. Generally, most offices have this form available online, or you can obtain a hard copy directly at the office location. Fill in the SS-5 completely. File the SS-5 at your Social Security office. 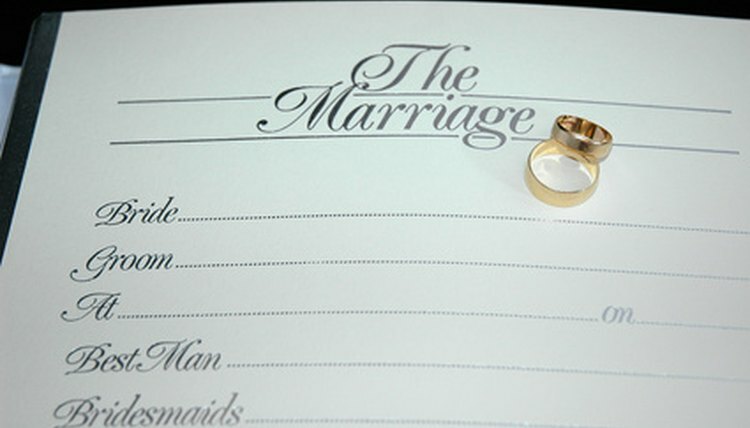 You will need to provide proof of your new name such as your original or a certified copy of your marriage certificate. After your application is reviewed and processed, you will be sent a new Social Security card with your changed name within several weeks. Contact your local Department of Motor Vehicles. Apply for a new driver's license or state ID card using your new Social Security card and marriage certificate. You will be mailed a copy of your new card within two weeks. Use your new Social Security and driver's license/state ID card to change any other official or legal documents--such as your bank account or passport--that need to be updated as a result of your name change. Viridis, Marcello. "How to Change a Name After Marriage in North Carolina." , https://legalbeagle.com/6727135-change-after-marriage-north-carolina.html. Accessed 18 April 2019.